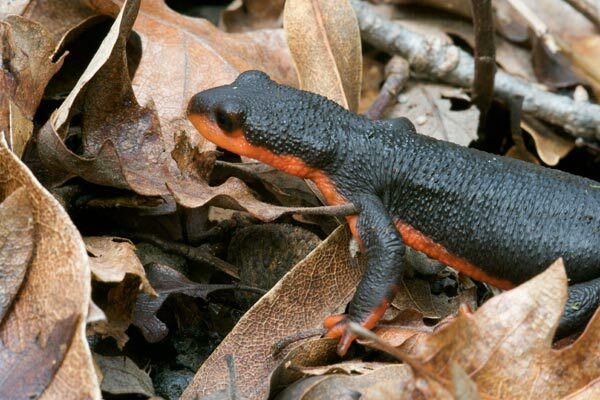 These newts are very similar to the other two newt species in California, Taricha torosa and Taricha granulosa. 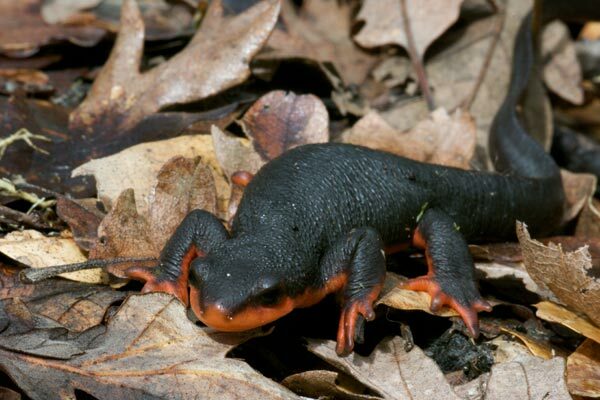 These guys tend to live in faster-moving water than their fellow newts, but their habitats do overlap. In fact, I found the first newt pictured above within twenty feet of a couple of T. granulosa. 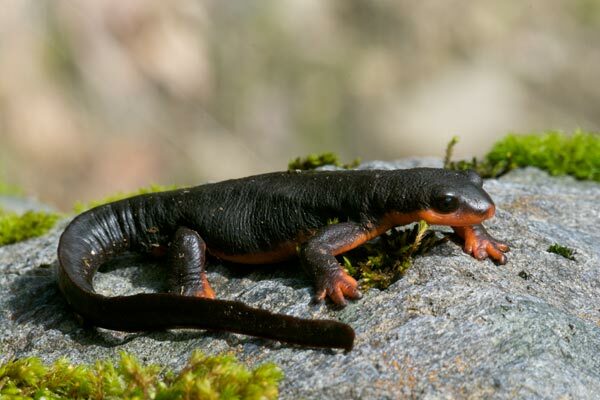 One of the ways to tell them apart is that the eyes of Red-bellied Newts are completely dark, whereas the eyes of the other species have some yellow. From the photos, you could reasonably accuse me of having planted rubber newts in order to claim that I had finally found T. rivularis, but I swear these are actually wild animals.